In 1971, at the height of the Vietnam War, testosterone-fueled fighter pilots take off from Udorn Air Base in Thailand on sorties over dangerous targets in North Vietnam. Some come back, many do not. Into this fog of war enters Captain Pilato, a starry-eyed idealist, assigned to manage the officers' club. 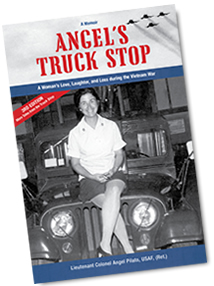 The fighter pilots christen the officers' club "Angel's Truck Stop", which becomes the backdrop for the conflicts, challenges, and choices she encounters. It reveals a woman's struggle to fit into a man's world. As the realities of war erode her ideals, she realizes the future doesn't hold the certainties it once did. Angel's Truck Stop is hilarious and at times, heart-wrenching. This memoir keeps the reader engaged from beginning to end. Dr. Pilato was the first woman Air Force officer assigned to manage an officers' club. She served more than five years on active duty in the United States, Europe, and Thailand. After her tour in Southeast Asia, Angel returned to civilian life. She transitioned to the Air Force Reserves as a training specialist and retired as a Lieutenant Colonel. Angel earned a doctorate degree from Oregon State University. She has held management positions at a Fortune 500 company, a top 10 university, and a non-profit organization. Angel is a Rotarian and resides in Oregon. This drink is featured in Angel's Truck Stop! On May 17, 1972, the Udorn Officer's Open Mess of Udorn RTAFB, Thailand, held a drink contest to create a new drink that would be called "MiG-21". 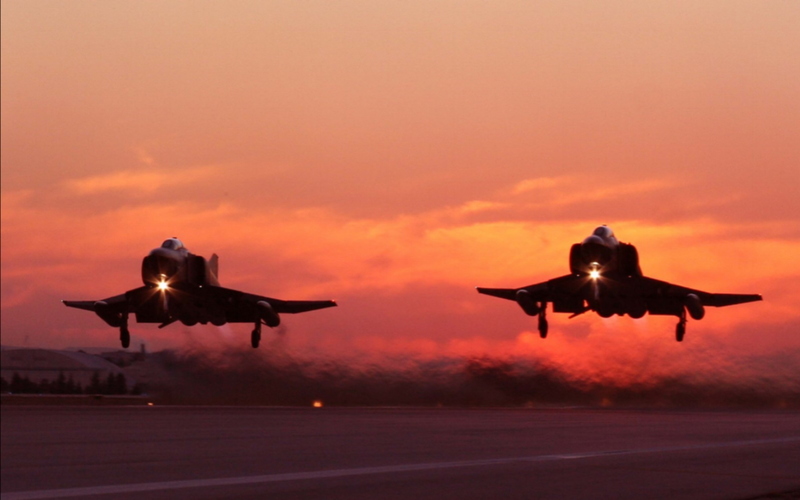 The winner was Maj. Pete Mendellson, Operations Officer of the 13th Tactical Fighter Squadron.